My grandmother. On January 6, my grandmother would have been 105 years old. That amazes. She died in 1984 (age 74), but she seemed much older for most of what I remember of her (from 1952-1984). Although she was young when she did many things, she seemed old by the time she was 45 years old. Some basic information. She was born in 1910, got pregant when she was 14, married soon after, had her first child when she turned 15, had another child (my mother) when she was 17, and divorced by the time she was 18. But there is far more to the story of my grandmother. Here is excerpt from my mother’s book, My Life in the Minnesota Northwoods. I believe the simplest way is to go back to the early part of 1910 when my mother, Gladys May Brown, was born January 6 in Richardton, North Dakota. Her parents were Joseph and Jennie Brown, known to me as Grandpa and Grandma Brown. 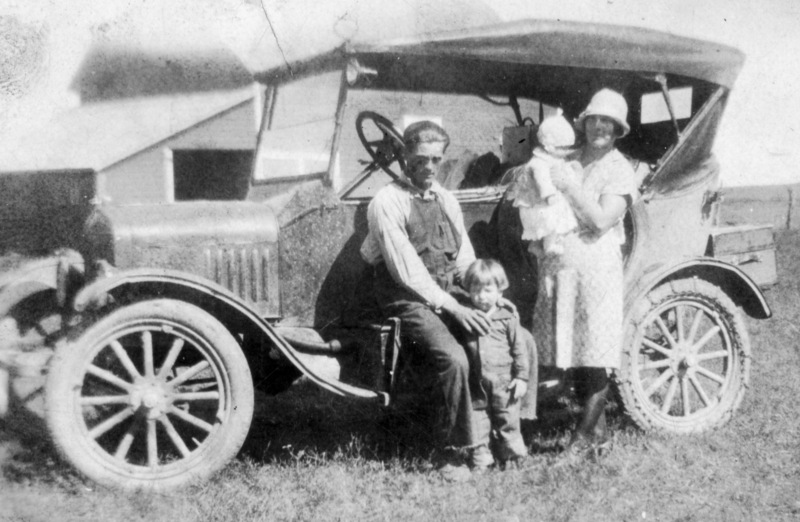 Grandpa Brown farmed, but different than today’s farmers who tend to stay in one place, when there was a crop failure or they were burned out, he would move the family to a new location to start over. In fact, during the years when Mom was growing up, he had moved the family from place to place in North Dakota and Wisconsin. 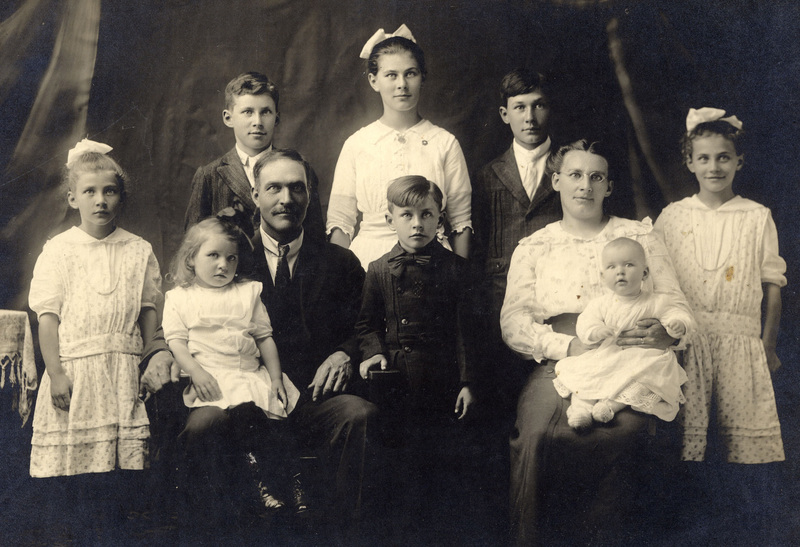 Mom had two older brothers, two older sisters, four younger sisters, and two younger brothers. Poor Grandma was only 37 when she died giving birth, and the baby died also. Looking back I can’t help but think: it is no wonder she died so young, already having had eleven living children. day because they didn’t know what else to do for her. This proved to be the best thing for her recovery. Even with this massage therapy she still had to learn to walk all over again. In later years after we heard about polio the doctors said this is what she had, because they used to call polio—white fever. Although according to the doctors she could still be a carrier of other childhood diseases, she developed an immunity to those diseases. Because she had to learn to walk again, and even then not too well, she stayed in the house to help her mother care for the younger children as the family grew. This proved to be a good thing because in the years after their mother died, all the younger children, especially the twins, looked up to Mom as a mother. Like so many farms, theirs was overrun with rats. One time when Mom and some of the other children were sleeping on the floor, Mom was bit on her left cheek by a rat. This scar never bothered her until about 1968 when she was on her way to California to spend the winter. Before she left on that trip, the scar had begun to bother her. The doctor told her to rub it with castor oil. Having no castor oil, she decided to use mineral oil which caused the scar to grow. She became alarmed, so they returned to Grand Rapids in case it would mean surgery. After using castor oil, as she was supposed to have done all along, it was soon back to normal and never flared up again; it remained only the raised scar. My grandmother became a grandmother at age 36, great-grandmother at age 54. My mother relates many other stories about my grandmother (and other ancestors), but this little vignette provides enough to know that my grandmother lived a hard life, a full life, and indeed could seem old at age 45. As I write this I am 65, and wonder do I have the same kind of background? In some ways, yes. But nothing like the what she faced. Really enjoy these stories….though. at times sad, they are proof if why and who we are who we are. Your post helps remind me how very blessed I am, and to be thankful!